After a bit of final fine tuning the process of fuelling all three satellites is now completed. 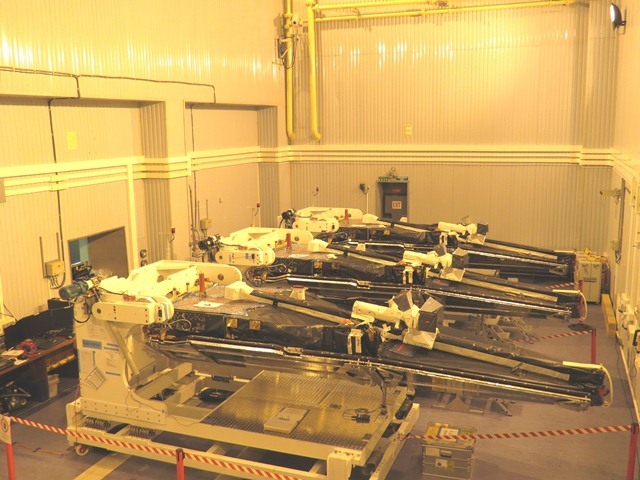 Once again the doors between the two halls were opened and Swarm FM1, the last satellite to be fuelled, was returned to join the other two in cleanroom 101A. 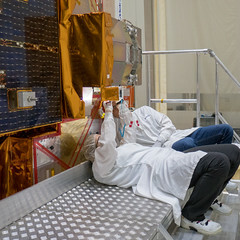 The functional testing of all three satellites has also been completed and everything is in working order. These activities saw the departure of Karim Bouridah and Yves Bordes and four of the Astrium Friedrichshafen team who return to continue with the simulation campaign activities at ESOC, ESA’s European Space Operations Centre, Darmstadt, Germany. Claudia also left us, but she’ll be coming back in a few weeks. 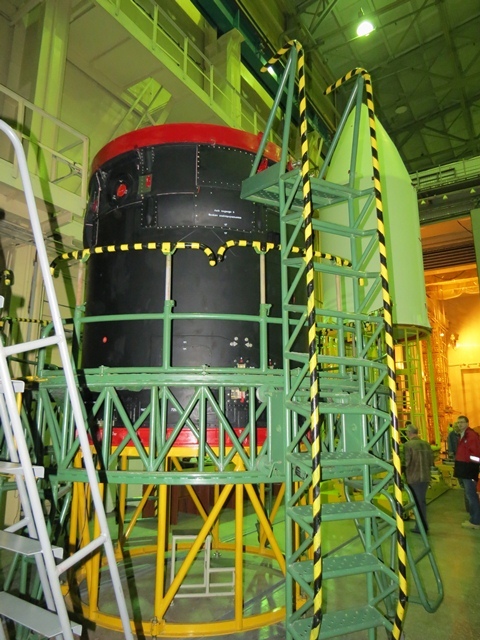 The Breeze upper stage and fairing arrived at the MIK. They were unloaded from their transport containers and are now in the main hall along with the booster. We watched all this via the security camera monitors until we were allowed into the main hall to see them for ourselves. At the end of last week we had a little outing – armed with gas masks and cameras, we had our first group sightseeing visit to the launch tower. 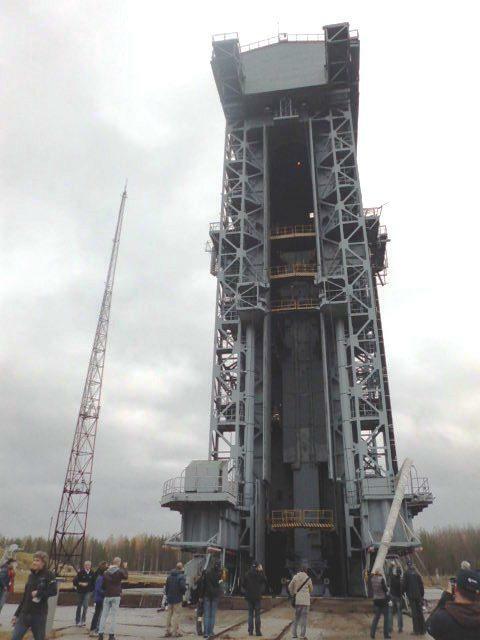 The launch tower looked impressive and everyone enjoyed the opportunity to have a look around. Needless to say, we didn’t need to make use of the gas masks!